Comrades from Sligo RSYM and Galway RSYM were assaulted and racially abused by members of the Gardai as the group ‘FEE’ scored a great success which saw the cancellation of a planned event at the National University of Ireland, Galway, honouring Bertie Ahern. FEE (who exemplify the idea that education is a right, not a privilege) organized this protest in accordance with their stance that as long as fees are being introduced for 3rd level educational institutions no Fianna Fáil TD shall gain entry to NUIG. The energetic Galway branch of the group (which boasts a membership comprising of individuals from several political organisations), conducted themselves superbly in the form of a peaceful protest at the gates of the college which was brutally disrupted by members of the Gardai. A number of the protesters were assaulted by the Gardai including several female members of FEE. Luckily the behaviour of the Gardai was captured on film with one video indeed showing a member of the RSYM being racially abused. A member of FEE was then arrested and in the ensuing melee where the Gardai again showed their penchant for unnecessary force, a female member of the group was struck in the face and required medical attention. “The activist who was arrested is an excellent republican socialist and is a friend of our movement. He is being made a scapegoat by the Gardai who were no doubt fuming at being revealed as a complete shambles. He is a fine republican and I hope he is out and working with FEE again soon. He was involved in a completely peaceful protest and it is clear (noting video footage) who instigated any escalation, the Gardai. In the media we hear about a phantom loyalty our elected representatives spew out to the public. They tell us to cast aside our consumerist instincts and restrain from shopping across the boarder. 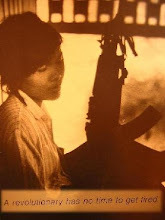 This capitalist call to arms attempts to play on peoples latent nationalistic instincts, a false call for patriotism. Surely our government can perceive the blatant contradiction that the people can see from such a spurious call to wallets. 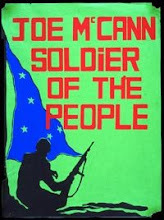 For was it not the gombeen champions of the underhand brown letters which have helped cultivate the current materialistic nature of free state Ireland? They were responsible for the creation of a true consumerist society where rationale is dominated by what is best for the consumer. No other process of thought was promoted with such zealous as that of a true materialistic society. Nothing was ever enough and a bargain was what we all sought. How ever with this new development of mass consumerist migration to the cheaper watering holes north of the border the government and their bed mates in big business appeal to consumers to restrain their over eager capitalist instincts and patriotically purchase from the less competitive southern markets. Such appeals stagger belief with the sheer contradictions blatantly obvious. Look no further than the golden boy of the Fianna Fail Celtic tiger generation, Bertie Ahern. The self proclaimed “socialist” is now beating the Republican drum claiming he has always supported a united Ireland. This “Republican Socialist”, a figurehead still in Fianna Fail, exalts his Republican inclinations. But yet his parties appeal to patriotism is only trumpeted when their capitalist policies come tumbling down. Fianna Fail can stand idly by when their own people are brutalised just a few miles over the border and ridicule the great and fallen patriots but pull out the patriot card when developer’s bank balances are at risk. Why would any worker south of the border listen to such spurious claims for patriotism when the very people who trumpet such contradictions want to cut back on elderly medical cards and are even considering cutting spending by 50% for disabled students in third level education? How is any man meant to feel patriotism for a consumerist society that hits the vulnerable first? Why should the vulnerable minorities pay for the crimes of speculating capitalists whose greed exceeded their sense? These same speculating capitalists who but a year ago were receiving millions in bonuses while they were leading the nation down the garden path to economic ruin. What are the economic reverberations for them? Will they go hungry? Will they be able to pay for their mortgage? Will they be able to pay for the best consultants? Yes on all counts. What is most ironic is that these very same bankers will keep their jobs thanks to the government’s economic bailout worth billions. That very money which was extracted from the taxes of the workers, the same workers who will in all likelihood lose their very jobs thanks to the greed of the wealthy. Surely such irresponsible behaviour warrants some form of punishment? But yet it is quiet on the political front. Fianna Fail, Fianna Gael, Labour, PSF all tow the line. How is it that a bank robber can get years of incarceration for stealing a few thousand and yet a banker whose greed brings down an economy can sit smugly while thousands lose their jobs? It is a shining example of how the system protects the establishment. For white collar crime costs more to the economy and does more damage than blue collar crime but yet white collar crime is totally under prosecuted and the sentences are miniscule in comparison to blue collar crime. There are the same cries for justice against the speculating capitalists around the world. In Germany the fastest growing party is a party by the name of Die Linke (the left). This party wants prison time for the bankers and it is winning widespread support. But yet our Free State parties say nothing. Would it be that their junkets at the Galway Races wouldn’t be as profitable if they alienated the speculating capitalists? Would it be that the under hand brown envelopes wouldn’t be as thick? And yet with all this blatant hypocrisy on show the government has the nerve to ask the workers to be patriotic. What we all should be asking is where the banker’s patriotism was when they were driving the nation into economic ruin? The old saying the one in the suite is the one with the loot is appropriate. But what is one to do in such blatant injustice. It is obvious that no justice can be found with the current establishment parties who have fully embraced their class interests. They protect the status quo while any repercussions to the working class are treated with blind indifference. 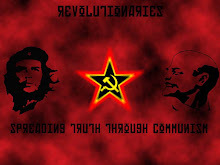 That is where we, the RSM, must emerge for it is the working class that our allegiance must lay. We must defend the interests of the working class from the exploitation of the bourgeoisie. We must encourage the working class to mobilise through radicalised unions such as the IWU. Through community projects such as the CFAD which is doing sterling work in North Belfast to tackle the drug problem. 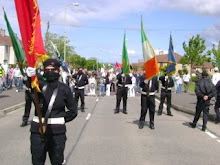 Through the housing committees such as the NBCRA which is campaigning for an end to the Sectarian housing problem. It is only through the likes of these Community initiatives of the working class people that real change can ever be realised. So many are satisfied to be handed the crumbs off the Bourgeoisie’s table, but when the speculating capitalists greed runs the economy into the ground there are no more crumbs to be handed. It is now time to radicalise the workers that the mask of respectability falls from the face of capitalism. The empty words of patriotism in the market place must be shot down with the empowerment of the working class. For too long the working class has waited hand on foot for bourgeoisie interests, now it is time to shed the shackles. For it will not be the speculating capitalists who will go hungry or lose their house, it will be you. Make no mistake that sympathy will not be forth coming with ever decreasing profit margins. The working class must be empowered to ensure that another generation will not be forced into economic migration to simply feed their families. There is enough on this island for everybody’s need but not for speculating capitalists greed and all the patriotic consumerism in the world won’t change that. 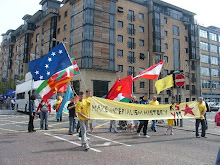 The RSYM is active across Ireland. contact us for more information. It's not only a fascinating topic, but as the speaker noted, of immense importance as the global economic crisis creates bleak conditions for many workers around the world, already causing the cost of food to rise beyond the means of many in poorer countries. This creates the conditions that could aid the fascists as they gain support by scapegoating vulnerable minorities and leading the working class into destruction. This is clearly on the rise in the USA for instance, where "minutemen" rightist paramilitaries wage armed attacks on suspected immigrant workers and more disturbingly have reached a mainstream audience with their ideas. Hatred of asylum seekers is similarly on the rise here in Ireland. So an analysis of fascism and how to fight it has rarely been more timely. Unfortunately the anarchist analysis was quite shallow and peddled the same cliches steeped in anti communist prejudice that one has come to expect. As usual, it is difficult to tell an ultra left analysis from a bourgeois analysis. The theme followed the line that the Communists are to blame, a thesis found readily among both bourgeois scholars and anarchists. But in actuality it is not necessary to invent an evil Leninist conspiracy: a materialist analysis of the actual events is more productive. Primary attention was given in the speech to the German Communist Party (KPD) designation of the social-democratic SPD as 'social fascist', and this was attributed to aiding the rise of the real fascists, the Nazi party. It was also claimed repeatedly that the Soviet Union was responsible for the KPD attitude towards the SPD. This is however a weak argument that is undermined by historical research. The KPD did not adopt the 'social fascist' label until 1929- and this followed on the heels of a massacre by SPD police of thirty-three Communist workers on May Day, 1929. The sectarianism of the KPD (while often wrong, but not always), was not the central factor in the failure of the left and workers' movement to defeat the Nazis, but the consistent record of betrayals and class collaboration of the SPD (more on this later). There are many faults to criticise the KPD on that are both true and pertinent to today: their lapse into electoralism towards the end of the Weimer Republic (though in fairness they polled an impressive vote in the millions); the KPD pandering to anti-Semetism; the KPD failure to build a solid base of support, etc. Yet none of these points are mentioned in the speech or following discussion. 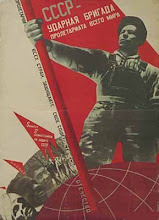 Nor did the Communists focus much energy on attacking the Social Democrats, despite the anarchist claims to the contrary, and in reality such attacks were almost purely rhetorical, primarily in their speeches to the unemployed (the Communists' base of support) and within the pages of their own press. The claim that the Communists focused their attacks on the SPD and preferred the Nazis is quite ironic when one considers that the Communists were the only force actively engaging the Nazis (sometimes going so far as assassinating leading brownshirts!) and physically challenging them on the streets! While it is true that the SPD had its own paramilitary wing as the Communists did, this force was purely defensive, and even them quite reluctant. For instance in Coming of the Third Reich, author Richard Evans (certainly no friend of communism) describes an event at which Communist paramilitaries from the Red Fighters' Front arrive to protect a social democratic politician they believed was set up to be murdered by Nazi Brownshirts- and yet the politician's own allies in the social democratic paramilitaries were no-where to be seen! So a more nuanced and developed analysis is called for to explain the rise of fascism in Germany, and specifically the failure of the left and working class movement to deal with it. And clearly, the KPD is less the invention of Stalinist manipulation than it is the inherited German Communist tradition that was always a bit ultra-left. However even this ultra-left leaning is understandable, considering that the social democrats were the party responsible for the slaughter of German communists during their revolution led by the Sparticist League. This also saw the death of Rosa Luxembourg at the hands of the ex-soldiers known as the freikorps. It is out of these freikorps veterans' associations that the Nazis were to rise from. Therefore, if any party or section of the Left is to be blamed for the rise of the Nazis, it is the counter revolutionary and anti communist policies of the SPD while it was in power. This fact is very important, for it demonstrates the dangers of class collaboration, the deadly threat to the working class if it sacrifices its own political independence for opportunism. 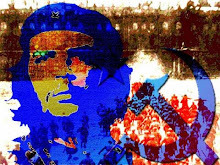 These lessons loom largely over events today as many Marxist currents still pin their hopes on the Chavez regime years after any workers' revolution has failed to materialise in Venezuala and likewise cheer on the Morales government even after it has failed to implement event tepid reforms. 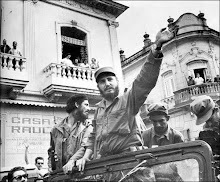 Surely there is an undeniable argument to be made that social democratic and left of centre governments are of a huge advantage to the working class compared to the old Latin American regimes dominated by the landed oligarchy and comprador bourgeoisie. However it is quite another argument to make that Chavez and his kind are in any way "socialist". It is understandable that contemporary Trotskyists would still attempt to portray the KPD as the "villains" in the Nazi rise to power. Afterall, they have to defend their failed policy of entryism into the social democratic "workers" parties, such as the SPD. Therefore, they will gloss over the anti-working class and clearly counter-revolutionary record of the SPD "workers party" and focus on the mistakes of the KPD. It is less clear why the anarchists have followed this line. 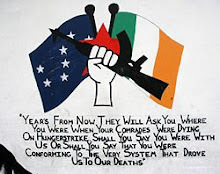 as the Irish Socialist Republican Party. These modest beginnings of the party never would have suggested the overall influence the ISRP was to have on left politics in Ireland even to this day. Typical of the boundless energy of the newly-formed group, almost immediately the wheels were set in motion for public outdoor meetings to be held with the focus being education. I say this was typical of the group as throughout its short history (1896-1904) the ISRP punched above its numerical weight holding many events and producing some superb socialist speakers. In fact in its history the ISRP never exceeded a membership of more than 80 members which makes what they acheived even more impressive. 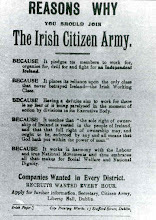 The party was only really active in Dublin but attempts were made in Naas, Cork, Belfast, Limerick and England to establish similarly active branches. in Ireland. Connolly saw the paper as the party's heartbeat, it was an expression of what the party was about and a way to connect with the workers. 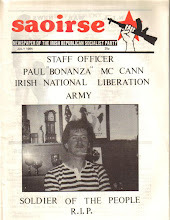 Internal fincancial problems led to the suspension of publication on occasion but the importance of the party paper should not be underestimated. It even reflected the internaionalism of the ISRP and carried many international articles and pieces. 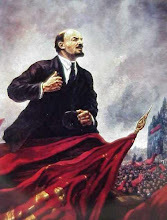 The ISRP stood it's first candidate in the elections of January 1899. This was seen as an oppertunity for the party to bring its politics to a wider audience in the mainly working class area of North Dock Ward. The ISRP again showed it was not afraid of hard work when over 1000 envelopes containing writings on the election and their candidate's (Edward Stewart) manifesto were distributed to homes throughout the area. Public meetings were held in support of the candidate, with Stewart holding one a month before the vote was to take place. Heckling and scuffles was rife in the crowd gathered,however this was most likely arranged by the opposition. Stewart fell sort of achieving a seat but a respectable showing left him only 150 votes short of a seat. However these failures in elections and the party's inability to find another strategy to forward the cause of socialism in Ireland could be seen as a central reason why the ISRP eventually failed.Perhaps if one candidate got a foothold in local politics and was elected the future would have been brighter for the party. 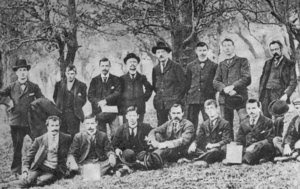 As it was, the class conscious of the workers in Dublin remained low and the possibility of them adhering to the radical programme of the ISRP also remained low. 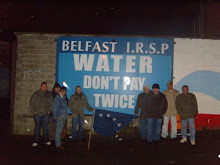 The ISRP was ahead of its time and before it's demise in 1904 made an impact on the Irish capitalist dominated political spectrum never to be forgotten. 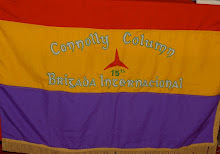 It agitated over issues like the Boer War, the 1798 commemorations and it even represented Ireland at the Second International.As mentioned above the party never had a membership that exceeded 80, which surely suggests to modern socialists parties with much larger numbers the limitless possibilities they have to progress the socialist cause. The hardships and obstacles the ISRP faced are far greater than the challenges modern groups face which makes the achievements of the ISRP a great source of inspiration. We must learn from the ISRP, challenge the capitalist political establishment in Ireland and further the cause of labour in Ireland until our goal of a socialist society is reached. A stow-away on the train of history.